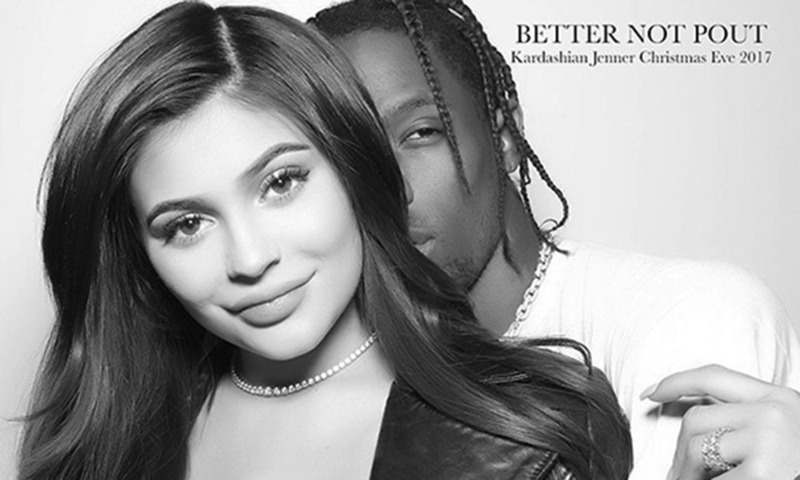 Kylie Jenner and her beau Travis Scott welcomed the birth of their daughter Stormi Webster on February 1st, which means that bb Stormi is one month old today! 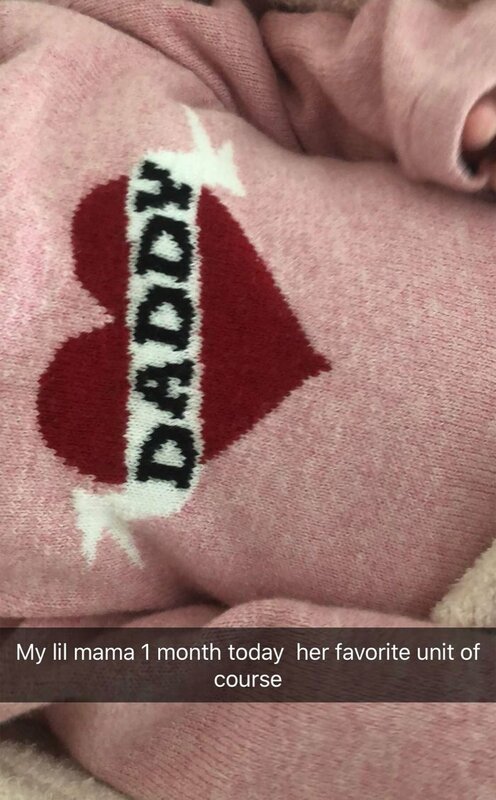 To celebrate, Scott posted a photo of his and Jenner’s daughter to Snapchat that featured her wearing a cute pink sweater that said “Daddy” in a red heart. He captioned the Snap, “My lil mama 1 month today…her favorite unit of course.” Daddy is her favorite parental unit? Cute. To celebrate the one-month anniversary, Scott also sent hundreds of peach-colored roses to Jenner’s house. 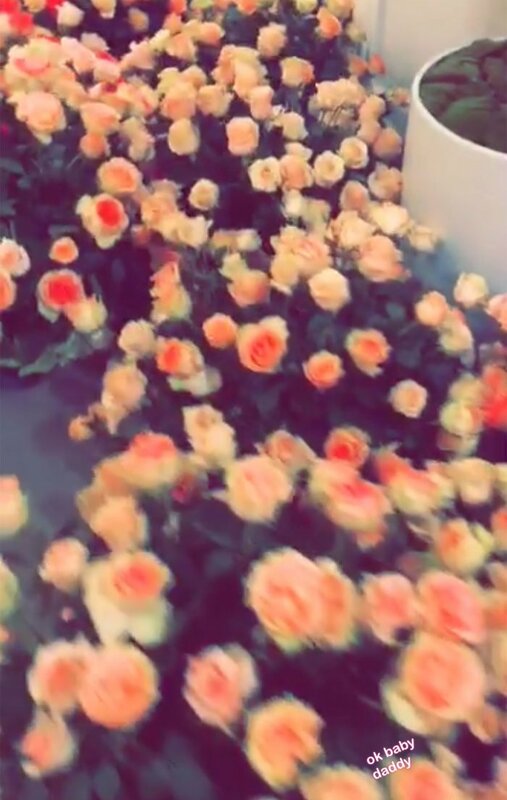 The flowers seriously filled every room in Jenner’s home, and she shared the videos of the flowers to Snapchat with a simple “ok baby daddy” caption. Since Stormi’s birth, neither Jenner nor Scott has revealed a full photo of their daughter. Jenner posted the sweet manicure photo last month, but Stormi’s face was blurred and partially obscured. She later shared a video of Stormi’s feet and Scott’s one-month photo today shows Stormi’s sweater, but no face. So we’re still waiting on Stormi’s official society debut. Stormi bundled up with her “daddy” sweater in honor of her one-month birthday alongside the flowers Scott sent Jenner to celebrate is just way too adorable. Despite Jenner’s comments about the death of Snapchat, Jenner and Scott’s baby bliss is probably the best thing to happen to the social media app. Jenner celebrated her postpartum body on Snapchat with a couple bikini photos. Suffice it to say, the old Kylie Jenner is back, y’all.